Climate Change: 5 Foods You’re Gonna’ Miss: #3 is Bad! There is a lot written about wildlife that may be threatened by climate change. It’s sort of ironic, but little publicity has focused on domestic sources of animal and plant food that we could lose, or at least, enjoy a lot less of. David Lobell, from the Stanford University Center of Food Security, says that losses may not be total catastrophes, but they will be losses we need to adopt to. In other word, these kinds of food will still be available, but they are likely to get a lot more expensive. It’s not just corn that we need to worry about, but also, the animals that rely upon that corn for feed that should concern us. All over the world, farmers have already began to suffer in terms of productivity. World corn production has declined by four percent. Some factors that get the blame are droughts, both low and high temperature spikes, and even milder seasons. For example, some plants require a dormant phase during a cold winter to reach their greatest potential, and some parts of the world just aren’t freezing during the winter like they used to. Also, stay tuned for even more increases in the price of beef and poultry. Warmer tropical temperatures have encouraged the growth of threatening fungi species. Brazil suffered through a recent drought that have already caused the price of coffee to climb. While Latin American coffee producers are considering a move to Asia, African coffee-growing regions are expected to suffer through a decline in coffee product that could be from 65 to 100 percent. African chocolate-growing regions are also expected to radically lose productivity if the temperature increases even two degree on average, as is expected, by 2050. 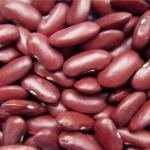 Just when the doctors got around to telling us how healthy beans are because they provide lean protein and plenty of fiber, we may face global shortages. However, what may be healthy and budget-friendly choice for Westerners is a staple food in vast tracts of Asia, Mexico, Central, and South America. Rising temperatures cut cut expected production by as much as a quarter. Higher temperatures and changing rain patterns are really going to sour the party when almost all wine-growing parts of the world lose production, or even, entire fields. Australia and California are expected to lose the most wine-growing lands, but the problem will also be felt in Europe, South America, and Africa. Increased temperatures are also expected to change the flavors of the wine crops that do survive, so this will have a major impact on the industry. On the other hand, these grapes usually become sweeter and produce wine with higher alcohol contents, so you won’t have to drink as much of your more expensive wine to get giddy. By 2050, products made mostly from wheat could get 3 to 84 percent more expensive. Wheat product has to keep increasing to keep up with demand, but that increase has been slowing to alarming levels over the past few years. Already, rising bread prices have contributed to political instability in some parts of Africa and Asia, and they have pinched the budgets of Western consumers too. Is There Any Good News About the Food Supply and Climate Change? A few scientists have speculated that increased CO2 levels are good for plants. They “inhale” CO2 the way that we inhale oxygen. But critics contend that extra CO2 doesn’t do any good, and if it did, it would be negatively balanced out by lack of water and temperature changes. On the other hand, some countries may experience increased square miles of arable land, and this could help them increase production. Whatever the case, it is likely that the source of many common foods is likely to change along with our definition of affordable groceries.